Once ordered please contact seneye support and provide the serial number of your seneye device you want upgraded. Once you have purchased the light meter update you must e-mail [email protected] and provide the serial number from the seneye device you would like upgraded. Light meter upgrades are not automatic and are completed Mon-Fri (9am-5pm GMT). Once the upgrade has been performed you will need to connect your seneye device to your PC and leave the seneye software running for 1 hour while the light meter is upgraded. Aquarists understand that care should be taken to choose light systems as the need of different aquatic biotope will vary; it is equally important that organisms being purchased should be suitable for any existing biotope. 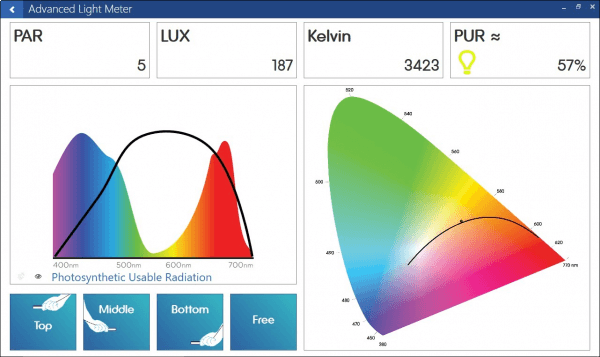 To know if they are correctly matched and that lamps are performing correctly over time, the seneye device helps to look at light in two main ways spectral distribution and intensity (quality and quantity). Do I need a seneye why not just use my eyes? The human eye is good at seeing colour and comparing colours as long as they are shown side by side, subtle changes are difficult for us to see and interpretation will vary from person to person. The human eye sees certain colours more easily than others which can make it difficult to judge the intensity of lamps against each other when they have different colour (k) outputs. The human eye is very poor at judging light intensity as the human eye is designed to work at very low and very high light levels without us knowing. The combination of these factors means an impartial device is needed.